Team up magnetic Maggie and anti-gravity Felicity from the Quantum family or unite Fiammetta and Lolly Elemental. Collect illustrated cards of 44 superpowered goodies and baddies and place them into superfamily groups. Whoever gets the most groups first wins. 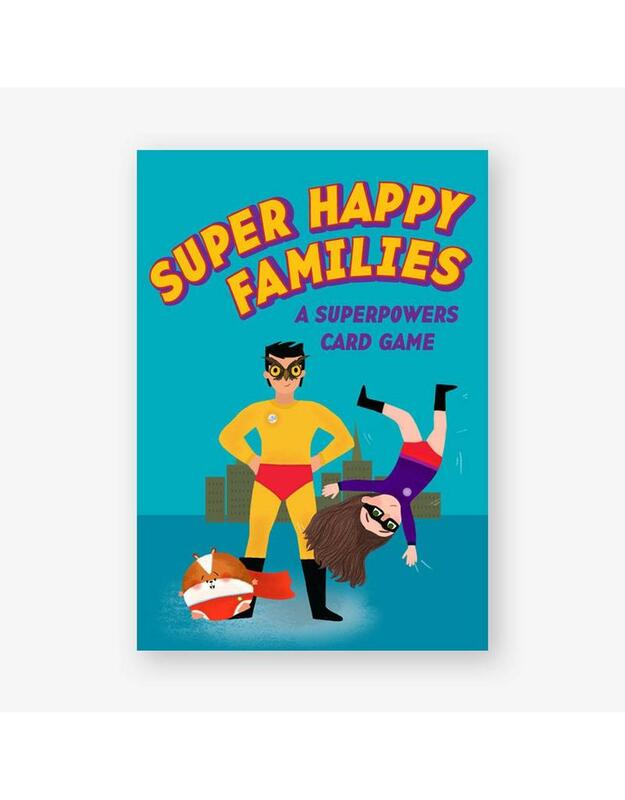 Based on Happy Families, this card game is fun for kids and families, and you don't need superpowers to play! Kirsti Davidson is an illustrator and surface pattern designer based in Brighton. Writer Aidan Onn was born in the UK but grew up in Hong Kong. After returning to the UK to study design and film production, he settled in London.